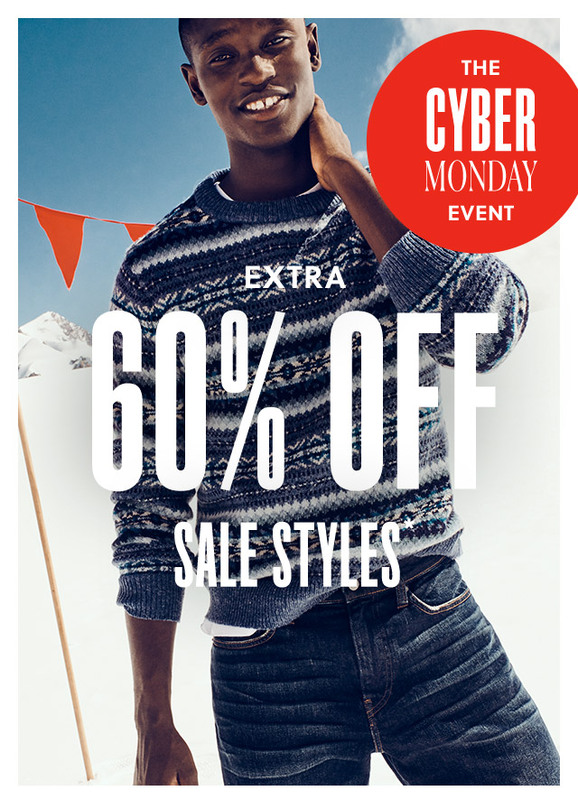 *60% discount valid on the purchase of sale items marked "Extra 60% off with code CYBER" at jcrew.com on November 27, 2018, 12:01am ET through 11:59pm ET. Not valid in stores, at jcrewfactory.com or on phone orders. Cannot be applied to previous purchases and cannot be redeemed for cash or combined with any other offer. To redeem, enter code CYBER in the promo code box at checkout. Limit one promo code per order. Valid in the U.S. and Canada only. Final sale items cannot be returned or exchanged. Terms are subject to change. 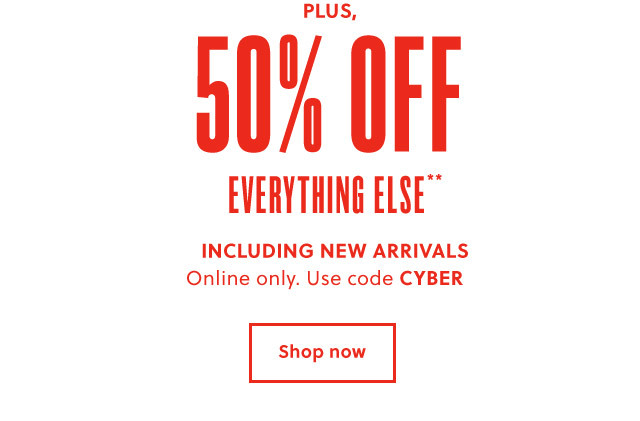 **50% discount valid on the purchase of select full-price items marked "50% off full price with code CYBER" at jcrew.com on November 27, 2018, 12:01am ET through 11:59pm ET. Not valid in stores, at jcrewfactory.com or on phone orders. Cannot be applied to previous purchases or the purchase of gift cards and cannot be redeemed for cash or combined with any other offer. 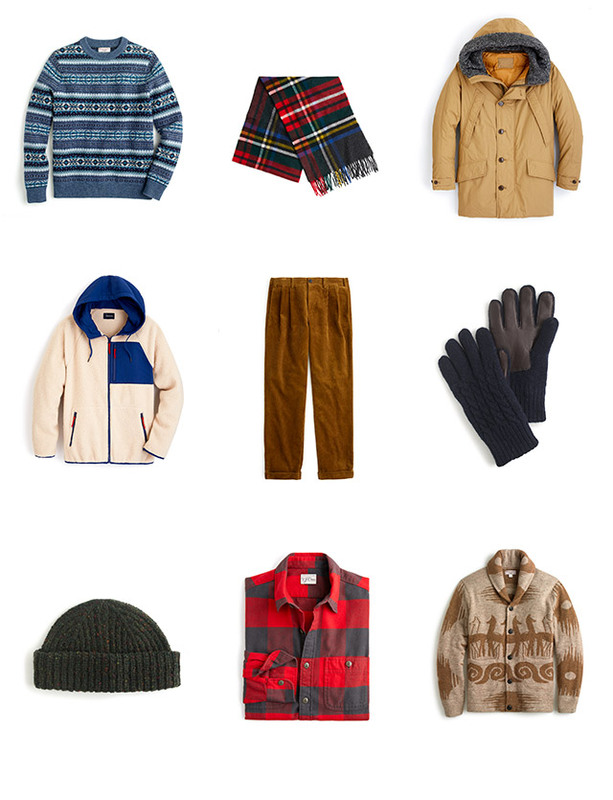 Not valid on all Garments for Good, third-party branded items and Madewell styles; all women's Collection items; all men's everyday cashmere and Ludlow dress shirts; the reusable everyday tote and the canvas tote in camo; select J.Crew Mercantile and Home styles; select women's Universal Standard styles, everyday cashmere, knits, shirts, sweaters, outerwear and blazers; select men's coats, knits, pants, shoes, sweaters, suits, Wallace & Barnes and Destination items; and select sunglasses and crewcuts items. To redeem, enter CYBER in the promo code box at checkout. Limit one code per order. Valid in the U.S. and Canada only. Terms are subject to change.